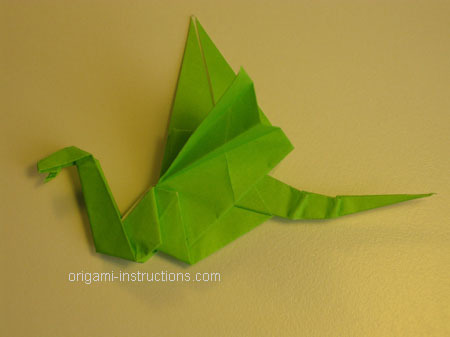 The origami dragon is challenging but fun to make. 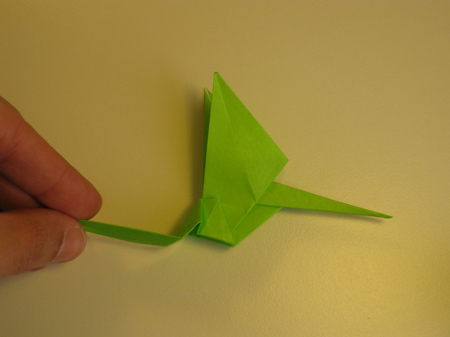 It is not for beginners, but if you have made the origami bird base and the origami flapping bird, then you should be able to follow the steps below. 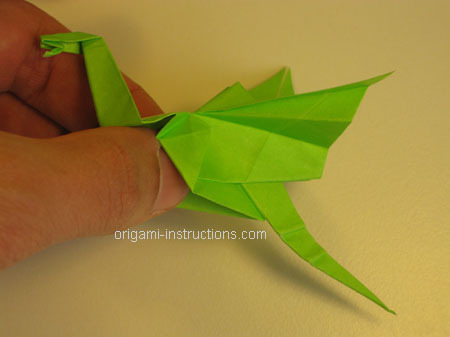 You can watch our Origami Dragon Instructions Video, or follow the step-by-step photo instructions below. 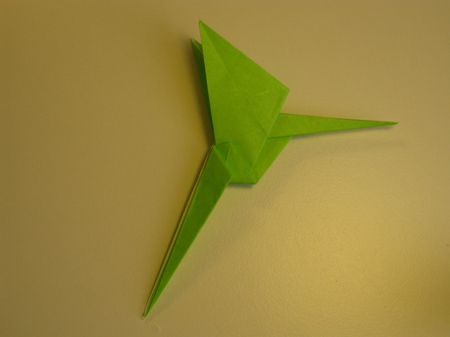 Origami Dragon Step 1: To make this origami dragon, start with the origami bird base. 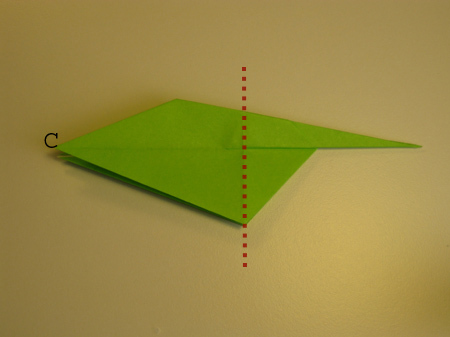 Fold the opposite corners of the diamond to the centerline as shown. 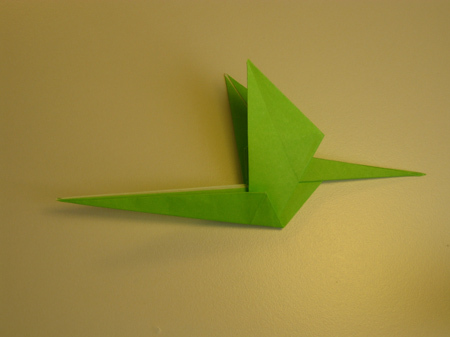 Origami Dragon Step 6: Repeat this fold on the backside to form the second wing. 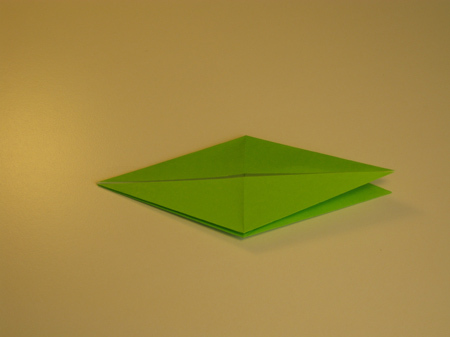 Fold corner E upwards, then repeat on the backside. 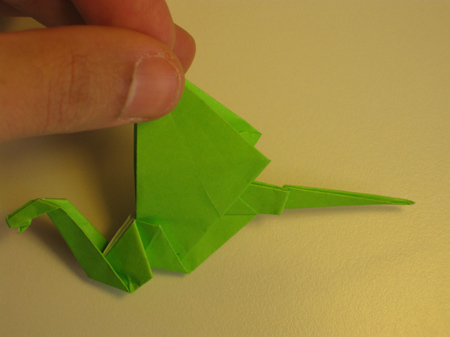 Origami Dragon Step 7: Now it's time to start folding the neck of the origami dragon, using a sequence of three (3) reverse folds. 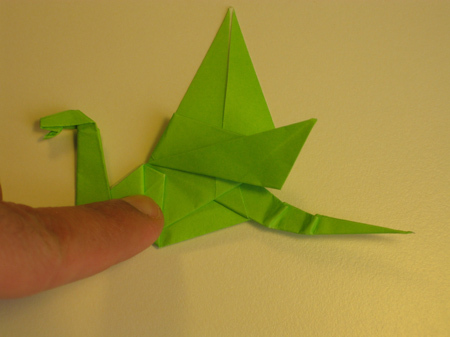 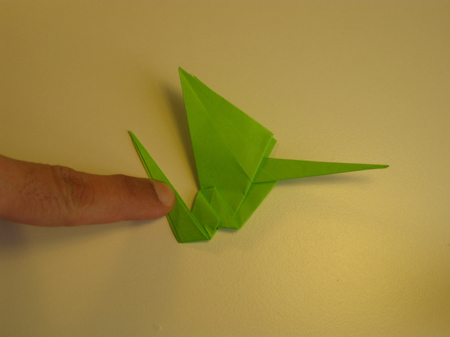 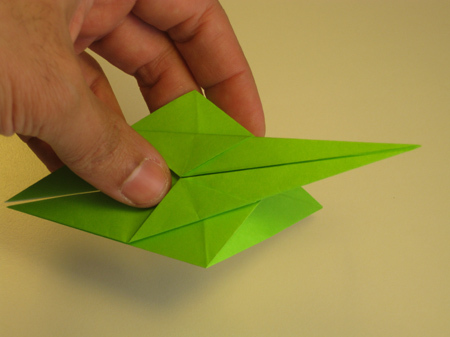 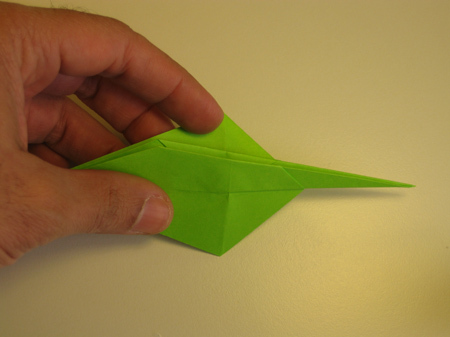 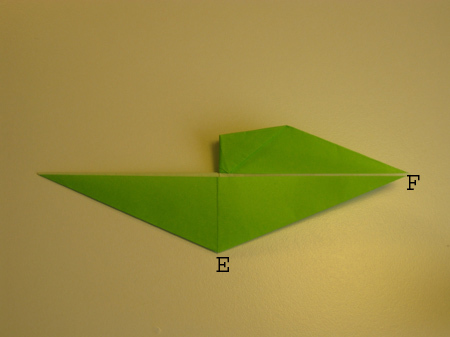 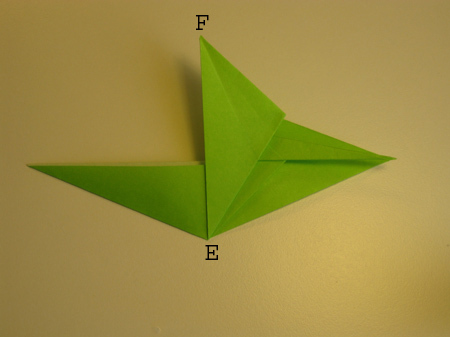 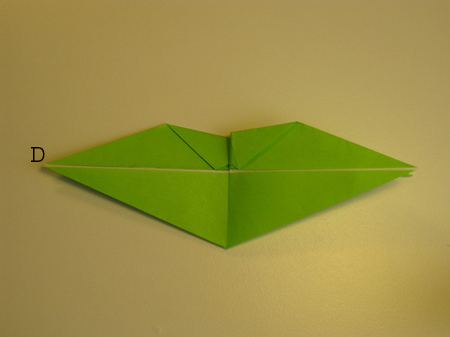 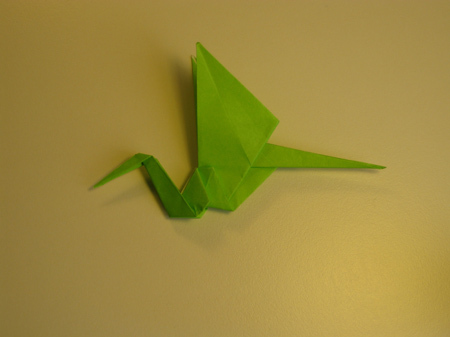 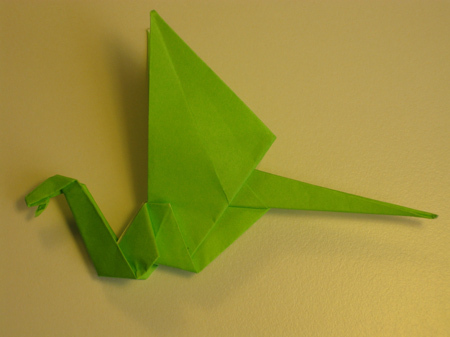 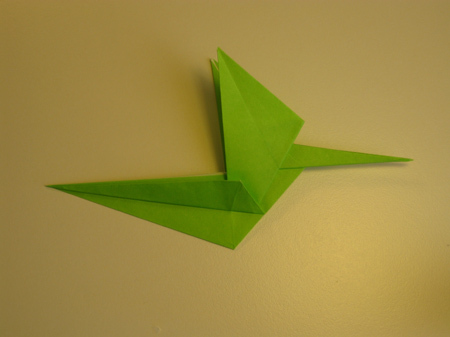 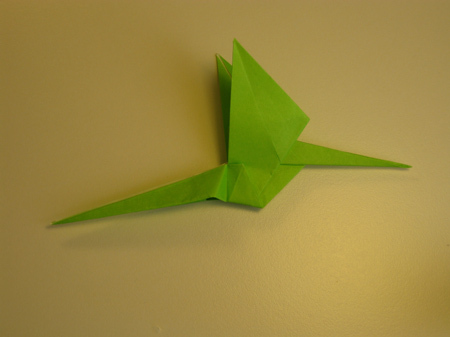 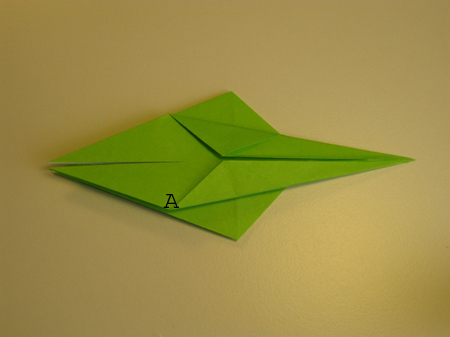 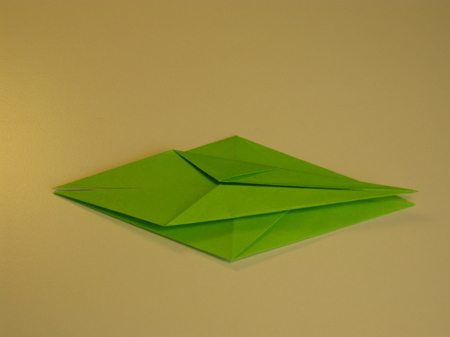 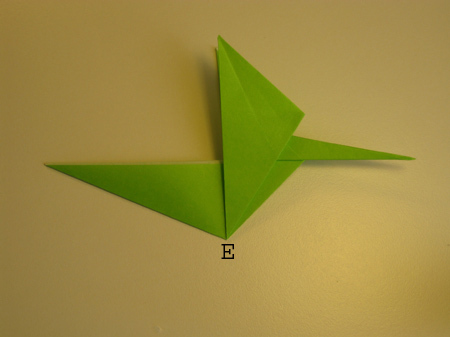 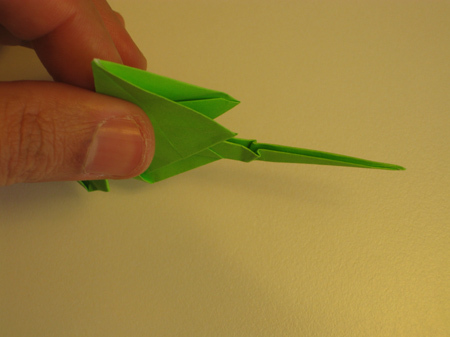 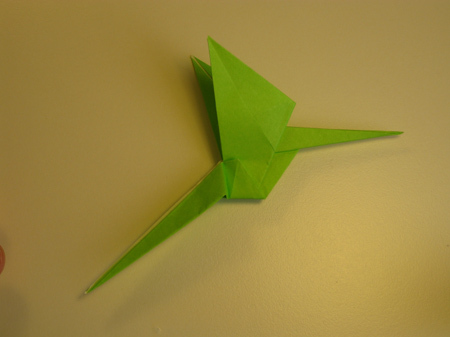 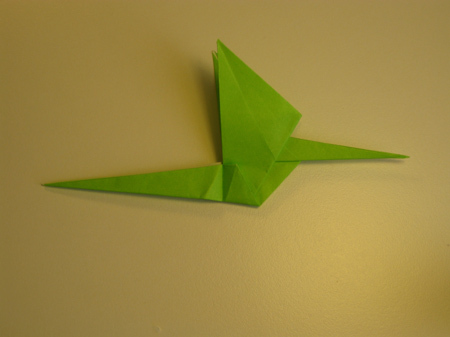 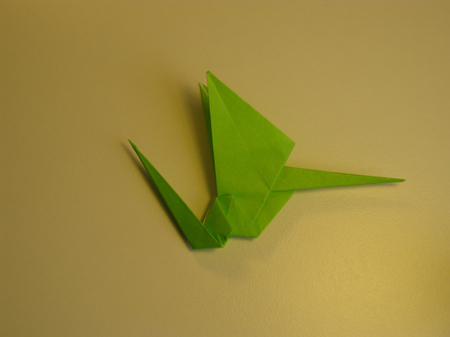 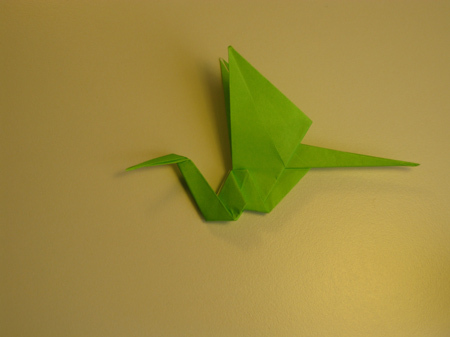 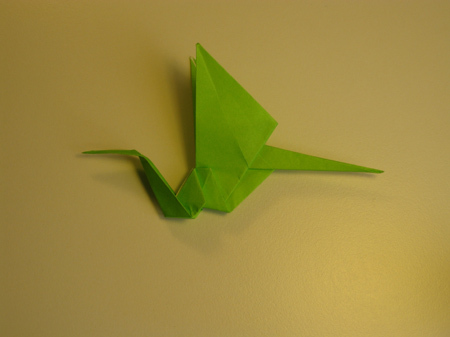 The reverse fold is explained in detail in the origami flapping bird instructions. 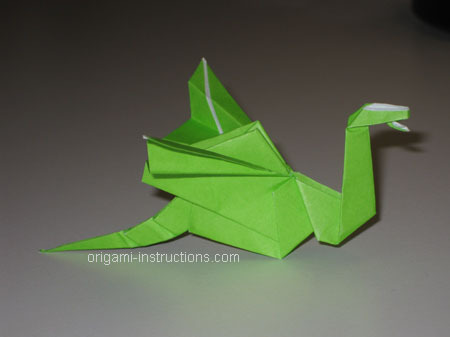 Follow the next ten (10) photos to make the neck of the dragon. 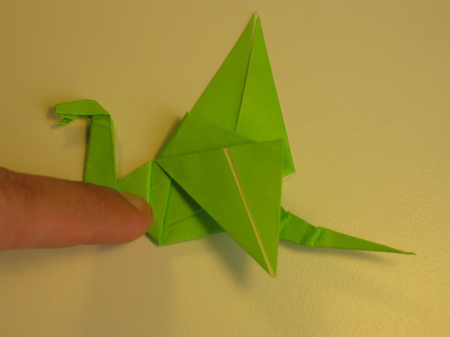 Origami Dragon Step 11: And there you have it! 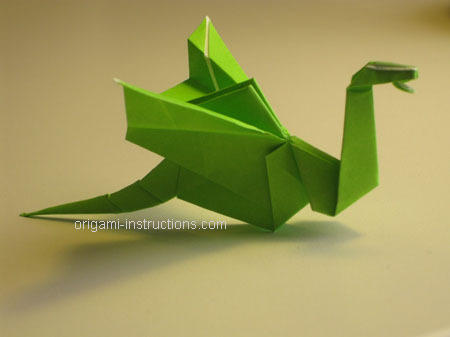 A fearsome, cool looking origami dragon! 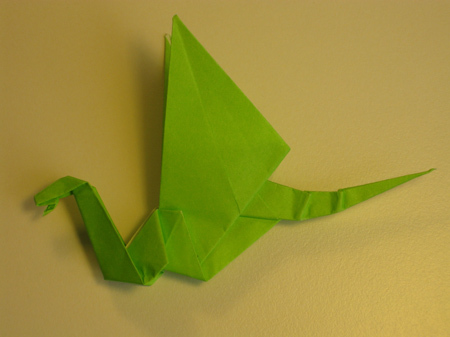 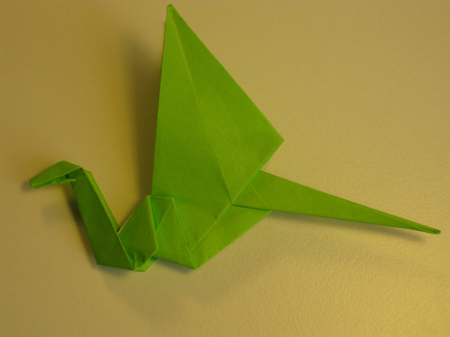 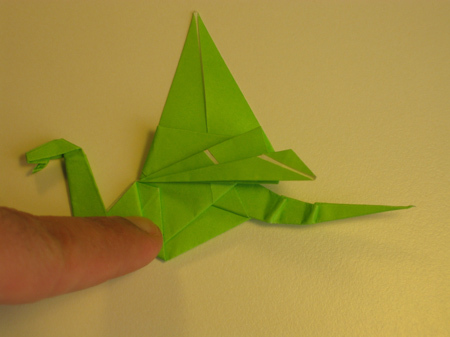 We've received many photos of the origami dragon folded by readers. 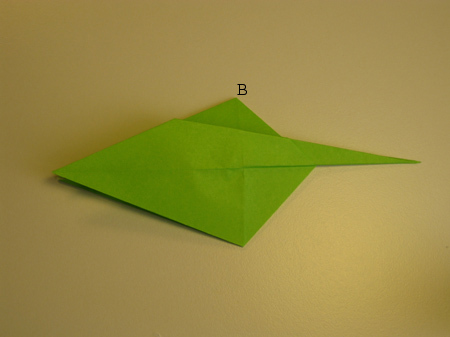 Do check out their photos on Page 2 (more recent) and Page 1 then fold one yourself!